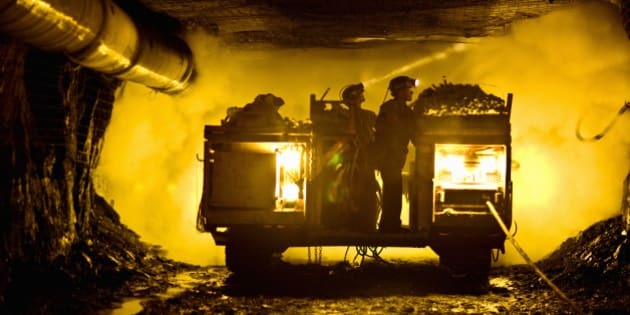 OTTAWA - After years of riding surging metal prices and spending freely on takeover deals and massive new projects, Canadian miners were forced to tighten their belts in 2013 as the cycle turned against them. But it wasn't just financial problems for the miners, as political and environmental issues made headlines around the world for several Canadian mining companies. The Supreme Court of Chile stopped short of ordering a new review and upheld the environmental permit, but put construction on hold until Barrick's environmental commitments and work to protect the water systems is completed. "The level of awareness and information has been much greater than its ever been," Kneen says. "There's whole countries that didn't have mining industries before, like Mali and Senegal and Burkina Faso." And Gabriel Resources also faced a significant set back at its Rosia Montana project after a draft bill that specifically would have allowed what would be one of Europe's biggest gold mining projects go ahead was rejected by a Romanian parliamentary commission. The rejection followed weeks protests in that country over environmental concerns and criticism that Romania would earn too little from the deal. In a recent report, Deloitte noted a trend of intensifying local community demands and government relations marked by rising hostility and zero tolerance regulatory environments. "I think something that the mining companies have learned is that they actually have to start seeing the governments as partners way earlier on in the process," he said. Gabriel Resources chief Jonathan Henry says there is still hope for his project as there has been talk about the possibility of a broader legal framework for mine development. But shareholders are running out of patience. Without progress by the Romanian government, Henry says Gabriel will be forced to do something "radically different." Henry conceded that the downturn in the market for the mining industry has opened up an opportunity for some non-governmental organizations seeking improvements. "Those who are trying to make mining better certainly have more of their say when things are not in a boom market because there isn't that demand for metals," he said. "So I don't think the period we are in now is bad for our industry and I think there is a lot of learning."